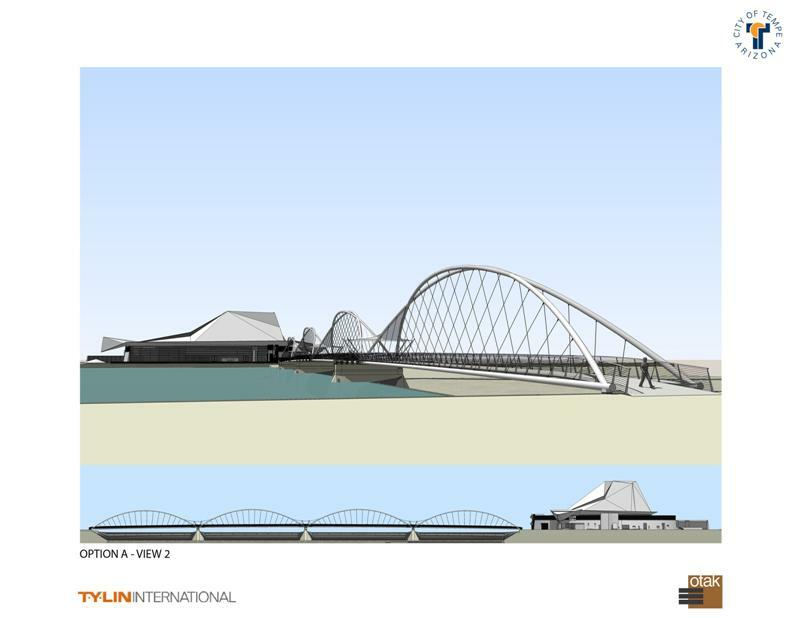 The City of Tempe has announced the design for the new pedestrian and bicycle bridge that will span the west end of Tempe Town Lake near the soon to open Tempe Center for the Arts. The “bow string arch bridge” is designed to complete the loop around the lake for pedestrians and bicyclists. Construction on the bridge is slated to start summer of 2008. The bridge is a great example of new infrastructure development and planning efforts by the city that should help to make Tempe a more bicycle friendly city. Next PostNext Handlebar Happy Hour!